c. Coach teachers in and model engagement of students in local and global interdisciplinary units in which technology helps students assume professional roles, research real-world problems, collaborate with others and produce products that are meaningful and useful to a wide audience (ISTE 2011). A successful school technology program engages students “in local and global interdisciplinary units” in which they “produce products that are meaningful and useful to a wide audience” (ISTE 2011). Technology coaches can support this effort by designing learning experiences in which “technology helps students assume professional roles, research real-world problems, and collaborate with others” (ISTE 2011). My students and I have participated in Pernille Ripp’s Global Read Aloud every year, and so we are natural fans of global collaborative projects. During my coursework in the Seattle Pacific University Digital Education Leadership Master’s Degree program, my students and I delved deeper into the global collaborative project (GCP) experience. My 6th graders participated in a Mystery Skype session with students at a school in New Zealand. This project involved students “assuming professional roles” and “collaborating with others” to build skills in geography and to learn about another culture and to share information about their own culture (ISTE 2011). 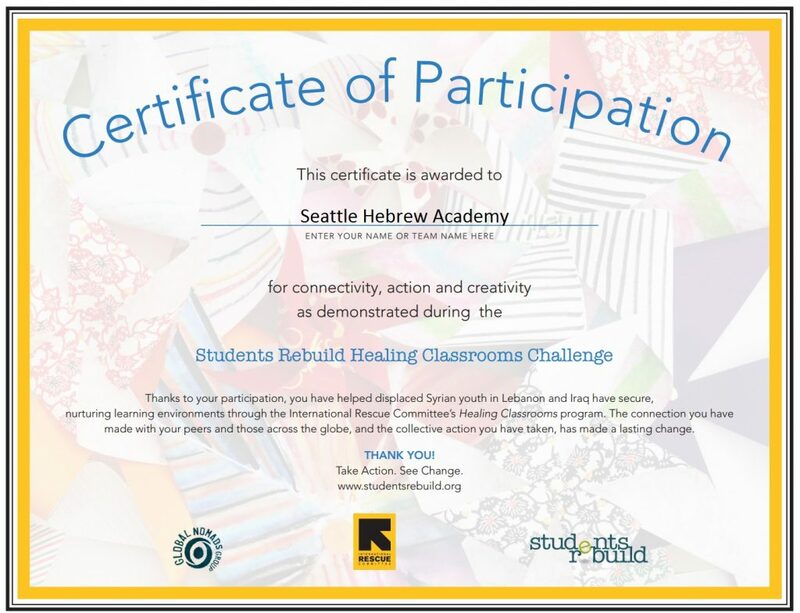 My 8th graders participated in the Global Nomads Group‘s global collaborative project with the Students Rebuild: Healing Classrooms Challenge and the International Rescue Committee. This project involved students using technology to learn about the experiences of Syrian refugee children (through The New York Times virtual reality experience “The Displaced“), and “collaborating with others” to raise awareness and take action through making and sending pinwheels to Students Rebuild in order to contribute to a matching funds campaign. The overall strengths of these projects—as with all GCPs—are the organic weaving together of standards from multiple academic areas, with the added strength of real-world application. Students are learning and using an amazing amount of academic + work + life skills in the preparation for and execution of this experience. The technology used made this connection possible. Global Collaborative Project Part I: Ready, Set, Action! Global Collaborative Project Part II: One Down, Two to Go! Technology coaches contribute to a technology-enhanced learning environment by engaging students in learning experiences in which they use technology to “assume professional roles, research real-world problems, and collaborate with others” to “produce products that are meaningful and useful to a wide audience” (ISTE 2011).